Beautiful skirt and in great condition. 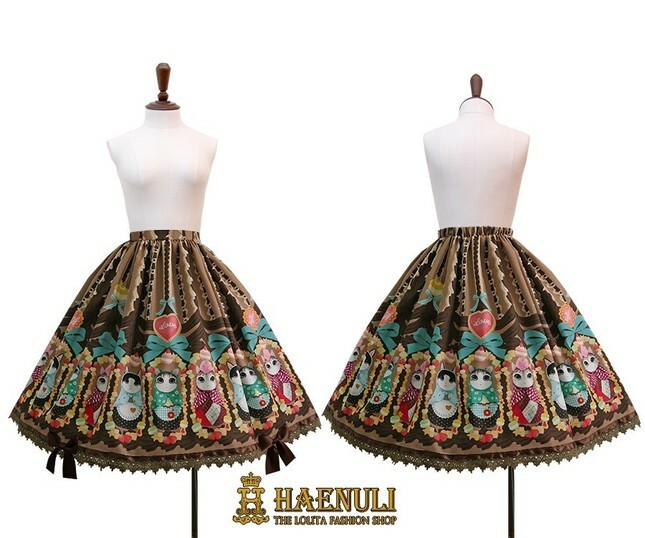 Listing for Haenuli's Whipped Cream Kitty Kitty skirt in Brown. 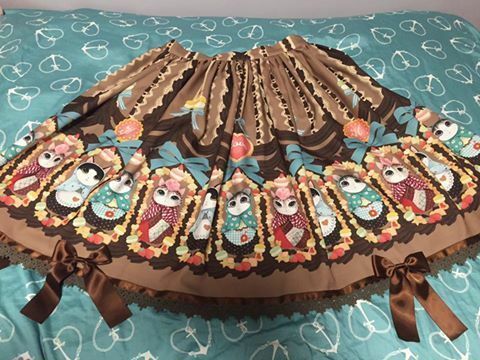 It's a very cute skirt featuring matryoshka kitties and sweets! Comes with four detachable bows. Can only ship within North America at this time.